If I wrote down all the books I start each year, the list would be long and tedious. But the number of books I finish? Well that list is far more manageable. For the last several years, I’ve started writing down the titles of books I finish – partial reads don’t go on the list. There are still a few weeks left in 2016, but as of now I have finished 27 books. This is less than I planned (and less than usual) but I did start quite a few I haven’t yet finished. We’ll see how 2017 goes. Why I loved it: While I’m not motivated to read about the policy of politics, I am deeply interested in the people. What makes them tick? What is it really like to live in the White House, to raise a family in such a high stakes political environment? 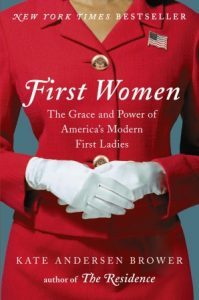 I loved learning the answers to some of those questions and reading a lot of behind-the-scenes stories of the First Ladies, their relationships with their husbands, their staff, and one another. Why I loved it: I always appreciate the way Henri Nouwen can say what he means in so few words and still be deeply profound. Why I loved it: This book both broke and healed my heart. As I read the details of Edie’s life growing up in southern Appalachia, I hung on every loss, every redemption, every connection, and every regret. Once I started reading, I couldn’t stop. I read in the carpool line, on the airplane, at my kitchen island while the dinner cooked. I stayed up too late and woke up too early just to read this book. In the end, I loved it because understanding her story helped me understand my own. Why I loved it: I finished this book last week and am still walking around in a bit of a fog thinking about it. First, I love books about sisters – the complicated loyalties and conflicting personalities that often surround sister characters. The setting remains fascinating to me (German-occumpied France in WWII). Mostly, though, I just loved the writing. So good. 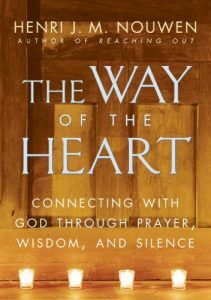 Why I loved it: My spiritual director recommended this one when I told her I wanted to learn more about establishing a rule of life. If you don’t know what that is (I didn’t), it’s simply a way of intentionally choosing a life-long rhythm to foster healthy spiritual formation. Dallas Willard calls it “curriculum in Christ-likeness” while John Ortberg says it’s a “game plan for morphing.” I read a little every morning and thoroughly enjoyed it. Why I loved it: Shelly knows the importance of creating space for our soul to breathe. 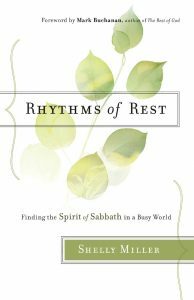 Quite simply, I loved this book because it re-awakened my long-held yet recently over-looked desire to Sabbath, to put practical, tangible rhythms into place so that I can actually, fully rest each week. I will be forever grateful to Shelly for re-awakening that in me. 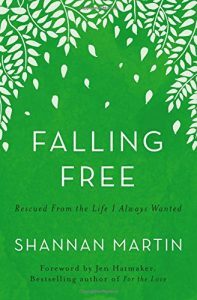 Why I loved it: I’ve been waiting for Shannan to write a book for years. When I finally got my hands on an early copy of Falling Free, I had a hard time putting it down. Shannan has a way of turning a phrase into something so surprising, so stunning it will both catch your breathe and break your heart. This happened for me on nearly every single page, which is why I loved this book so much. 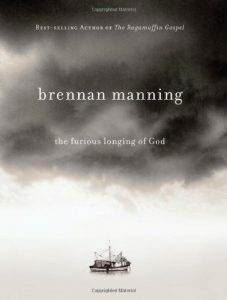 Why I loved it: When I think of Brennan Manning, I think of the love of God. That is the legacy he left behind – a simple story of how God loves as as we are not as we should be. I read this book on my kindle app on my phone through this year and it was the perfect message to take with me on the go to read in the normal pauses of time of ordinary days. Why I loved it: I’ve read a lot about the Enneagram online but this is the first full length book I’ve read from cover to cover about it. 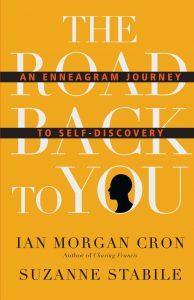 I already knew I enjoyed Ian Morgan Cron’s writing voice (his book Jesus, My Father, the CIA and Me was one of last years favorite reads) so I was appreciative of this non-clinical perspective of the Enneagram. Why I loved it: My friend Jessica Turner recommended this one to me and she’s not steered me wrong yet. This book is fast-paced, heartbreaking, and difficult to read at times. But I’m glad I read it and the characters stayed with me long after I finished. 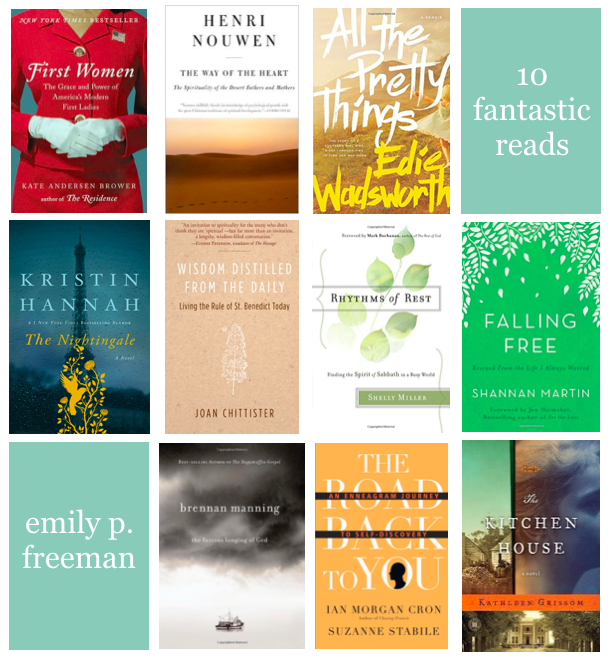 Every month I send out a list of what I’m currently reading, along with a secret post you won’t find anywhere else. Sign up here and choose The Bench to receive that note in your inbox each month. The Road Back to You is sitting on my desk right now! I always love your book lists. I work full time and am in grad school so I don’t have a lot of free time to read until summers, but I keep the lists handy, and the second I’m done with classes in the spring I start reading! Always love seeing what you’re reading. 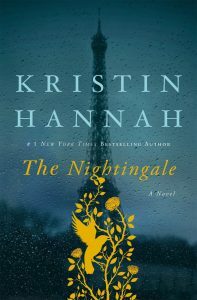 I, too, read The Nightingale this year. In fact, I became somewhat obsessed with reading WWII books (an ongoing interest of mine), particularly Nazi-occupied Europe. So I have to ask: have you read All the Light We Cannot See? If you have, I’d love to know what you thought about it. If you haven’t, I’ll say GET THEE TO A BOOKSELLER. Seriously. By the way, I couldn’t agree more about Edie’s memoir. I’m not much of a memoir person, usually, but All the Pretty Things? Riveting. Yes I have read All the Light 😉 It took me a while to get into it. I know! I must not be very literary. I know Doerr took something like 10 years to write it. The writing was phenomenal. The story was just a bit slow. I’m the worst. Emily, No, you’re not the worst. As an English teacher (now SAHM), I thought I should love All the Light, but I didn’t and couldn’t. I finished it, but I too thought it was slow. 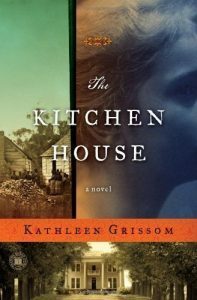 However, I am reading The Kitchen House right now and have given up sleep (crazy with a baby who wakes during the night) to stay up reading. Thanks for posting the list. I can’t say enough about All the Pretty Things. (And The Glass Castle, which is similar.) I grew up in a Southern West Virginia trailer park, and Wadsworth captures the experience in ways that are uncanny to this heart. Emily!!! I’m so humbled and honored. Oh my goodness, day made. Thank you. What grace! 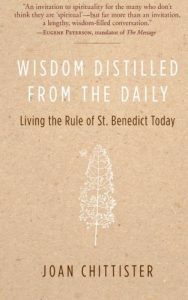 Seeking God: The Way of St. Benedict by Esther de Waal is another great book on Benedict’s rule. I’ve been reading about it too this year! Love this list! 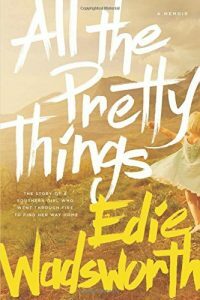 All the Pretty Things is at the top of my 2016 reads. Wow. I still think about her story at least every other day. Redemption. Yes! And Falling Free is on my Christmas list to Santa! 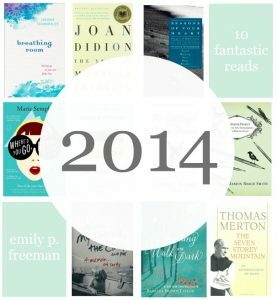 So cool that you write a list of the books each year! Thats a great idea I might need to borrow starting this January! Amazing post! 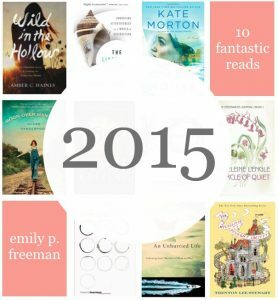 Also love that you linked us to your 2014 and 2015 list, definitely gonna check those out! Thank you for sharing your list. I have keep a list of books read since Silas was born (over 20 years). When I look back at the list, it is like looking at a journal. It shows what I was interested in each year. I loved Rhythms of Rest too! Love this list! I’m interested in reading so many of them for myself. I had my first baby this year & it got me out of my normal rhythm of reading. So looking forward to 2017 and maybe reading some of these recommendations! Thank you!!! I LOVED Edie’s book and recommend it to everyone. And I’m adding Rhythms of Rest and The Kitchen House to my list right…now. I totally agree about The Nightingale being such a memorable book! Although there were a couple parts that didn’t *quite* ring emotionally true to me, I was blown away by the gorgeous depiction of the setting, the overall idea of the story, and, especially, that ending of all endings. Definitely one I won’t be forgetting anytime soon! I need to do my own end-of-year wrap-up reading list sometime in the new few weeks, but if I had to choose a few that made my top 5, I would have to choose Essentialism, All the Light We Cannot See, Outliers, and An Everlasting Meal: Cooking With Economy and Grace. I don’t think any of those were actually released this year (I just read them this year), but I consider all of them life-changing, for different reasons. Thanks for your list! I’ll have to check a couple of these out.